Life is full of challenges. There has never been anyone who could say that they did not suffer or experience setbacks. We struggle to move forward but sometimes experience more retrograde motion. What makes some people able to cope and overcome the vicissitudes of their existence and others to crumble beneath them is still somewhat of a mystery for psychology. May was dedicated to increasing awareness of mental health issues, and though this post is not quite in time technically, it is still a good opportunity to reflect more on the challenges that we all experience in life, and grow in appreciation for those who suffer psychologically. Grief is a reality that touches so many of us along our voyage. Loss is inevitable, and all losses touch us in a deep way that leaves us changed for the rest of our lives. My and Amy’s experience of losing Gianna Rose certainly matches that description. If you’ve followed Amy’s writings on this blog you certainly have a sense of the earth- shattering effects of losing an infant. We were just watching a TV show that depicts a prisoner who has been given hope of receiving a crucial medication she had been deprived of, only to have that hope dashed. It was a good example of psychological torture – building up an artificial hope just to smash it to pieces. The end result is worse than never having had the hope in the first place. That is a shadow of what it was like to experience Gianna getting bigger, bonding with her as she developed throughout the 10 months of pregnancy, only to have her stolen from us when she was a mere 4 days old. We all have a picture of ourselves in our mind. It’s a complex one, involving our strengths, weaknesses, virtues and flaws, how we see humanity and God, good and evil, and whole host of other things that are woven into a single tapestry that is what we call our identity. You look in the mirror and you see one image staring back at you. Sure, we all have incongruities and disintegrated parts: that is the work of personal growth that always lies ahead of us. But we see ourselves as one and it makes sense to us most of the time. This sense of who we are informs much of our behavior and provides us with a sense of stability that supports what we do in our day-to-day lives. We aren’t usually aware of the role that our sense of self plays, and it can certainly be taken for granted. Then the angry fist of grief smashes full force into that mirror and what you once saw as unified, coherent, no longer makes the same sense. The experience is extremely destabilizing. All those parts that were arranged coherently are now a kaleidoscope, reflecting back a fractured picture, each shard with an emotion of its own vying for space and attention. It is difficult to overstate how different the experience of life is when this happens. Things that you were able to do with little effort before now require the exertion of much more energy. The motivation behind so much of what you do is now lost amid the unfamiliar and confusing vista of life that looks like something you never thought you’d see: the landscape is the same, but all the landmarks you use to get your bearings have been rearranged. So what do we look to when our world has been turned upside down? Faith is more than just a coping tool, which is why it is terrible when it is, consciously or unconsciously, reduced to that. But when we are faced with the unthinkable, the unimaginable, the darkest shadows that we have ever glimpsed, we look for an explanation. It is easy to fall back on the easy answers, the ones we have recited time and time again, so much that they have become cliché – “God has a reason for allowing this,” “God always brings good out of evil,” “The Lord is close to the broken-hearted,” the list goes on. And let me be clear: it is not that these things are false, but that they are often used to anesthetize the pain that we feel when our emotions are screaming things at us that we simply don’t want to hear. They’re also the things that others use to try to comfort us in our pain. Because they care for us, they don’t want to see us suffering, but because they care for us they’re suffering too, and many times that is the reason that they say those things. We’ve all been told the stories of saints who bear unimaginable suffering with unwavering faith in God, and that is what we feel we need to cling to when tragedy strikes if we are “true disciples”. We don’t hear the part of the story that is far more human – the emotions that beset them and the process it took to get through those emotions. So we distrust our heart and those rebellious thoughts and feelings that make us want to approach the bench with clenched fist and cry out in accusatory voice. The problem is that we can’t change what we feel, and God, who created us with our emotions, doesn’t expect us to. The problem is that if we acknowledge what we feel, it changes things. It sets us on a path that has no clear destination – and that is terrifying. I’ve experienced that, and it made me think about the implicit image of God that I have. Let’s follow the logic that I think many believers operate from when it comes to experiencing some very difficult emotions. I feel angry, but I shouldn’t be angry at God – it’s not his fault. There is hesitancy to be angry with God and we often feel it’s a sin to do so. So if it’s a sin to be angry at God, maybe he’d be angry at us too. So essentially, God is a vindictive authoritarian who cannot tolerate the emotions of his children. Basically, he’s a bad parent. 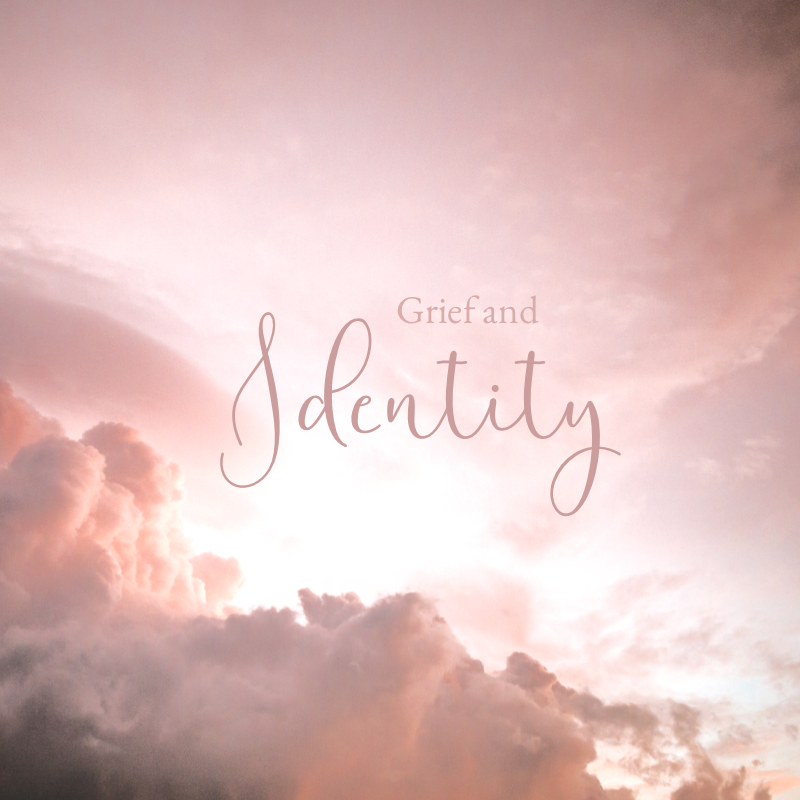 Of course, none of this is true, and if we can come to realize that God will meet us where we are, then we are free to feel what we feel and actually go through the grieving process. In order to grieve, we have to be open to our emotions without trying to feel what we “should feel” or thinking that what we are feeling isn’t normal or healthy. We spend so much time and energy in making sure that our emotions match up with some sense of expectation or standard of what is “normal” that we crowd out the very emotions themselves. The only way that the shattered mirror is going to come together again into a coherent whole is by allowing grief to take the course that it will. We shouldn’t try to stop it, direct it, change it, lessen it, rationalize it, deaden it, medicate it, or forget about it. Grief is a sacred space because it touches the inner sanctum of our person. It is challenging, scary, destabilizing, and transforming, and that’s why we can never underestimate the power of grief to change a person. That is also why we need to help those who are grieving to be themselves and, when we grieve, to let go of the steering wheel and be brave. We just might find a much better version of ourselves on the other side of that journey. Welcome! We’re glad you’re here. Receive post updates via email!